[description] =>  Sam can be seen posing with Chay at the Central Park in NYC where they first met nearly eight years ago. 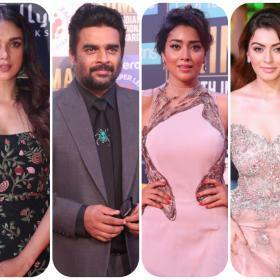 [articleBody] => The much-loved Samantha Akkineni just took to Instagram and shared an awesome pic with her ‘followers’. 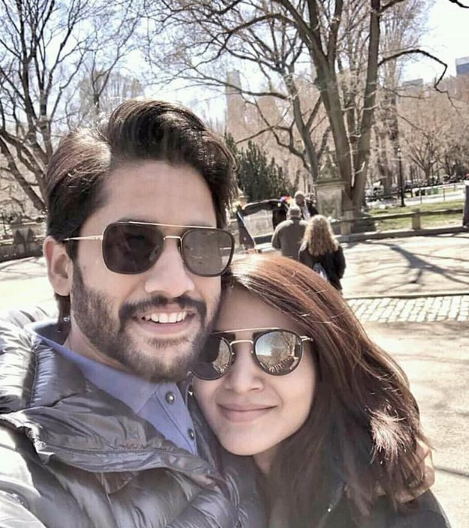 In it, she can be seen posing for a selfie with hubby Naga Chaitanya at the Central Park in New York City. And, as expected, the lovebirds seem to be enjoying each other’s company a lot. Interestingly, while sharing the pic, a nostalgic Sam wrote that their love story had started at the Central Park eight years ago and hence she felt special about visiting it again.